Thomas Fraser (1784-1835) and William Fraser (1785-1857) were brothers from Artligan, near Beauly (Inverness-shire), who came to Demerara some time before 1813 and ran a ‘task gang’ of slaves, hiring them out to empolder and plant new tracts of land along the coast. In 1817 they bought the sugar plantation Helena & Uplands and, through their connection with fellow Highlander George Rainy, borrowed extensively from McInroy, Sandbach & Co (in which Rainy was a partner) to finance its purchase and development. They were for many years highly regarded by the white community as succesful planters. As the surviving partner, William later received compensation of over £17,000 for the emancipation of their slaves. When Thomas died at Lodge Lane (Liverpool) in 1835, William continued the business and bought further plantations (Providence and Industry), in partnership with Rainy. William returned to Britain and, in 1837, married Helen Colquhoun Campbell of Dunmore. She was a niece of Farquhard Campbell (1760-1829), a plantation owner in Demerara. William Fraser bought property at Hillside, just outside Aberdour(Fife), and then Skippess Castle in Argyll, becoming known as William Fraser of Skipness. 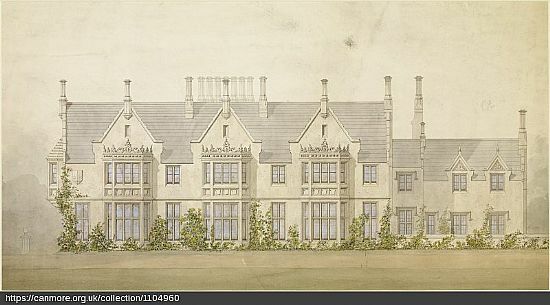 At Aberdour he employed the architect William Henry Playfair to redesign the house in 1839. His two eldest sons were born in Demerara - William Thomas Fraser (b1838) and James Campbell Fraser (1840-1913), who later became a merchant in Japan. Thomas had died unmarried but had four illegitimate children in Demerara, with Elizabeth Brotherson, named William, Thomas, Eliza [b1813] and Mary [1815-94]. The children settled in Britain. It is likely that Elizabeth Brotherson was a free woman of colour. William Fraser estates were less productive in his absence and he returned to Demerara for a time in 1852. He died at Skipness in 1857. Guyanese sugar plantations in the late nineteenth century [published in the Argosy in 1883 and re-issued with a commentary by Walter Rodney in 1979]. My thanks to Iain Fraser for assistance with this entry and for identifying the realtionship with Farquhard Campbell of Ormsary.